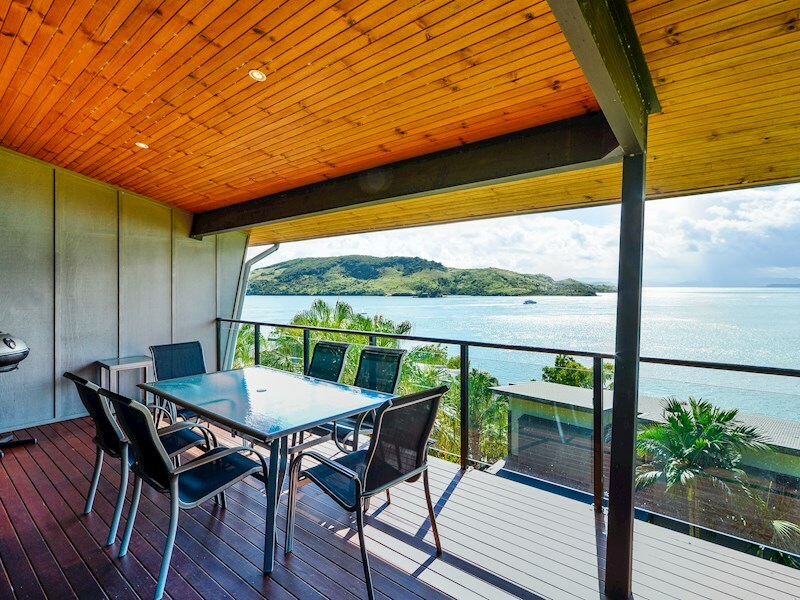 Fully-equipped, modern, two bedroom apartment with spectacular views. 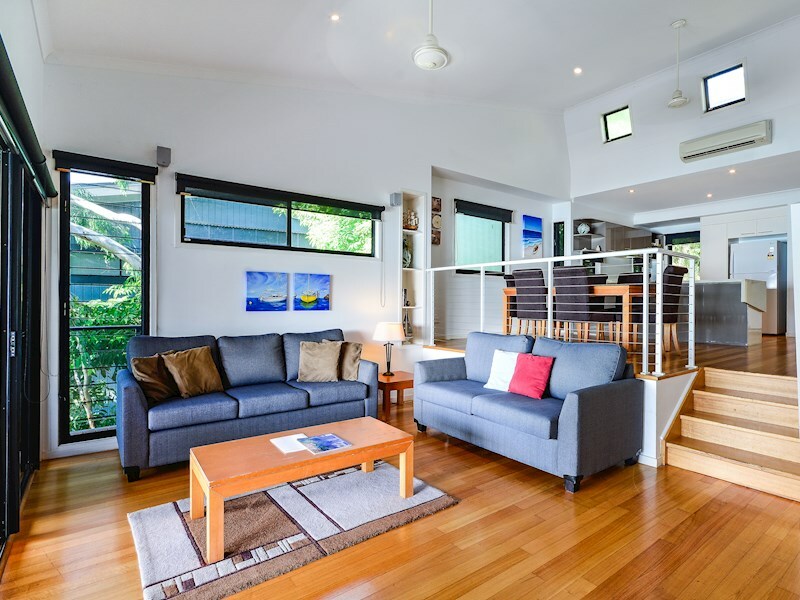 With bright, modern interiors, a contemporary split-level layout and spectacular views, Shorelines 24 is an ideal option for couples or families. 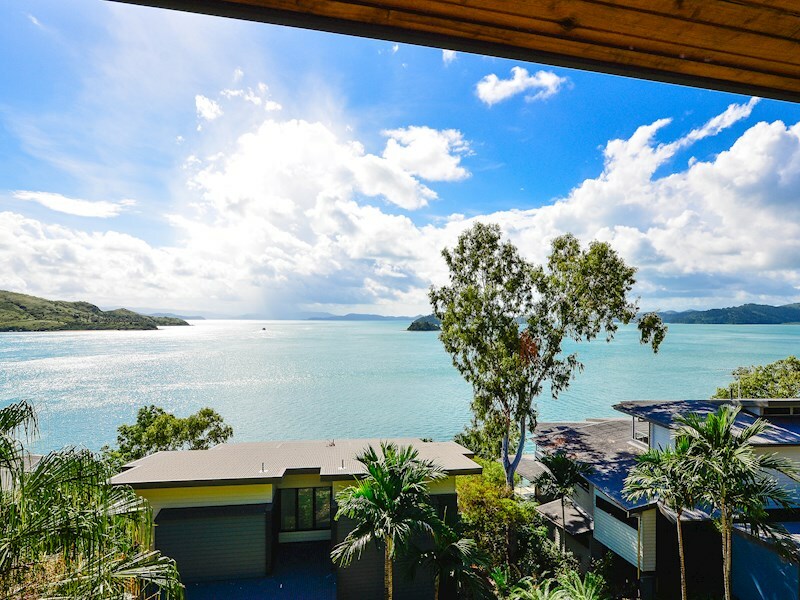 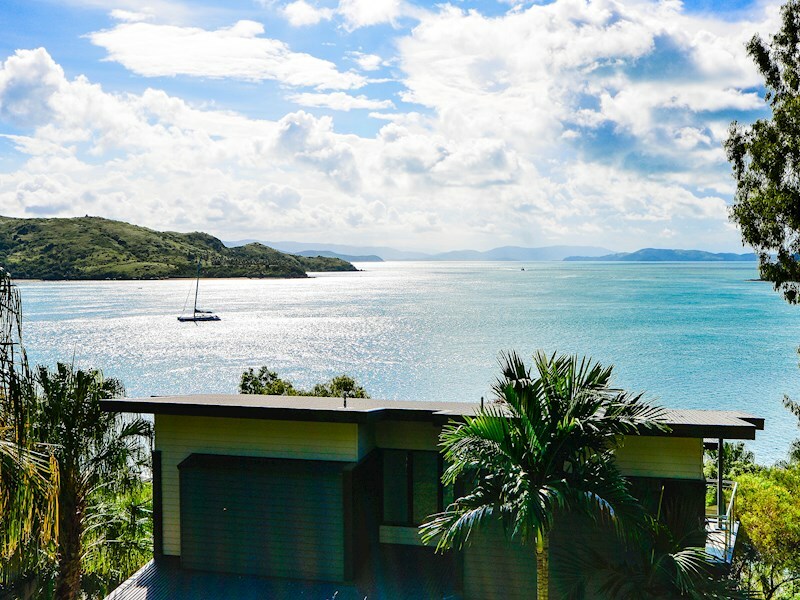 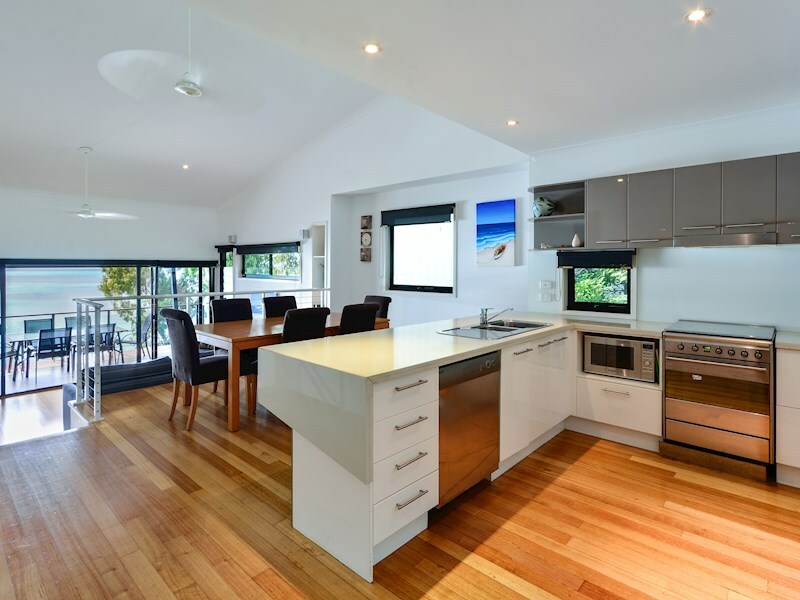 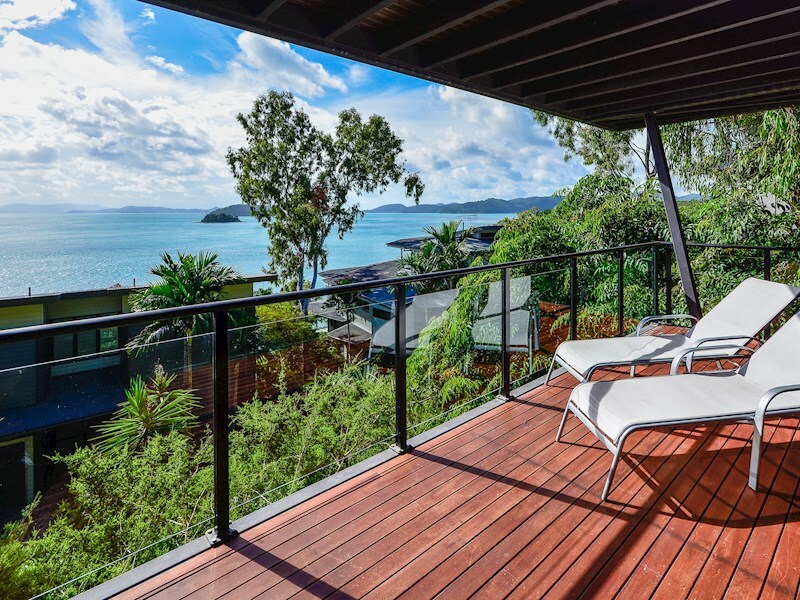 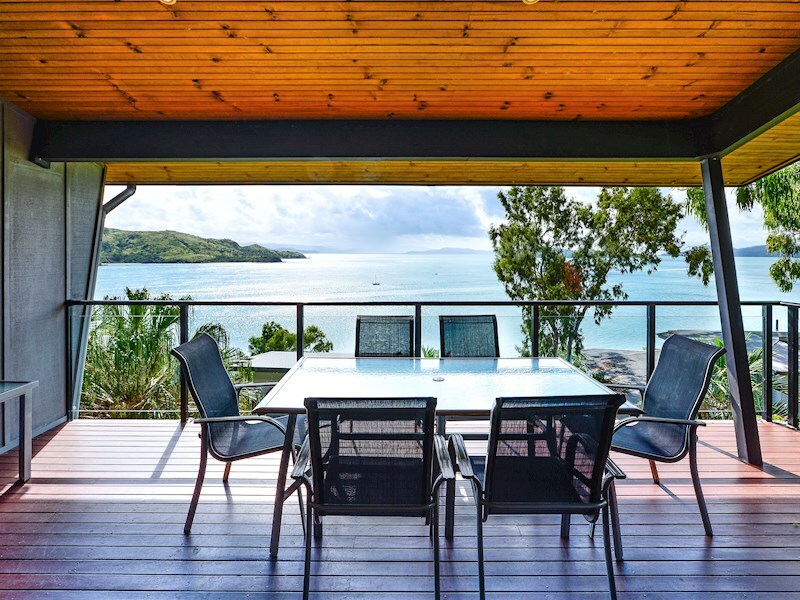 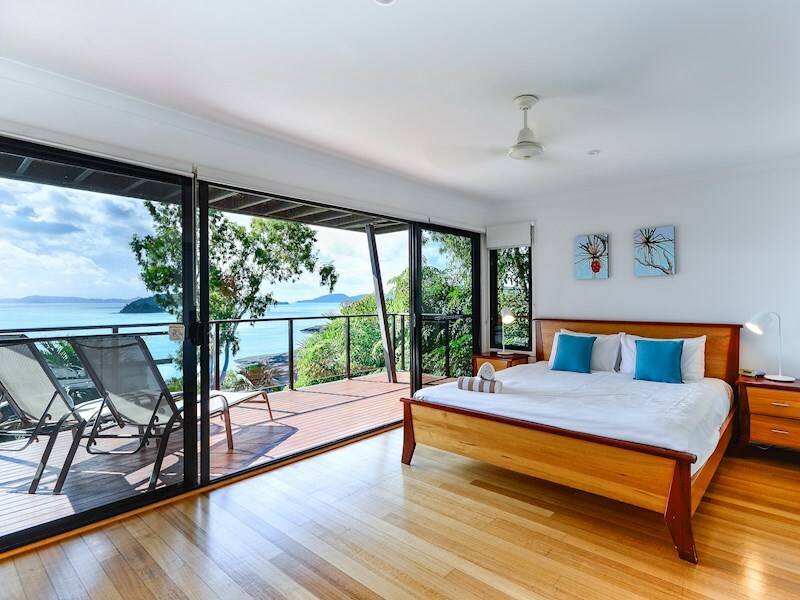 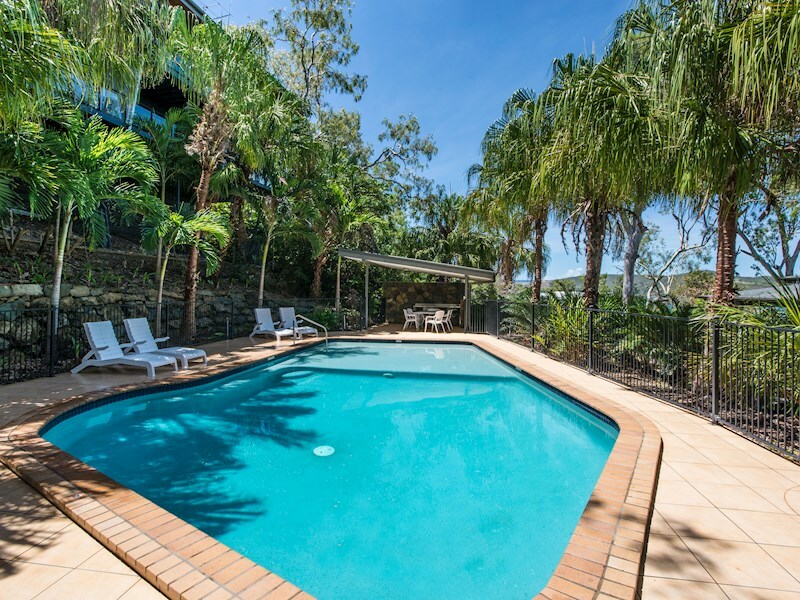 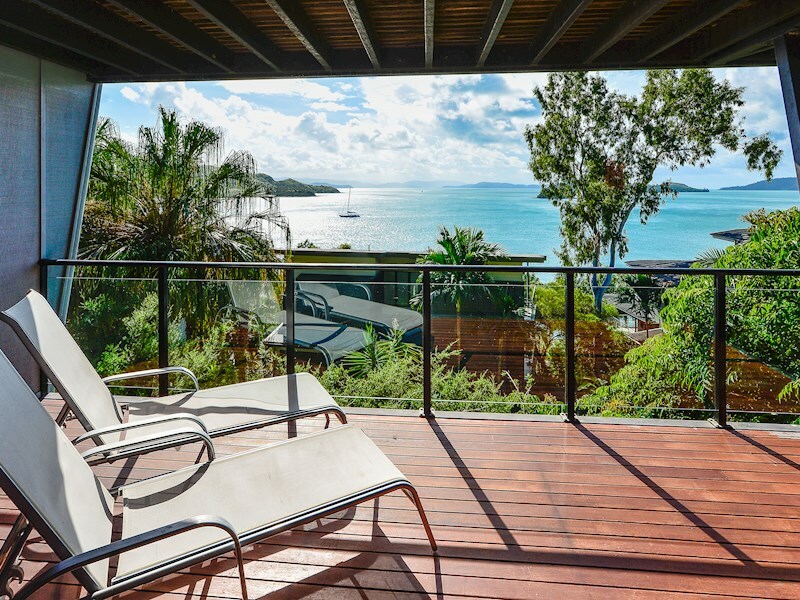 Enjoy a family meal on your outdoor table, overlooking the turquoise Whitsunday waters, or simply kick back in your master suite and watch yachts sailing past. 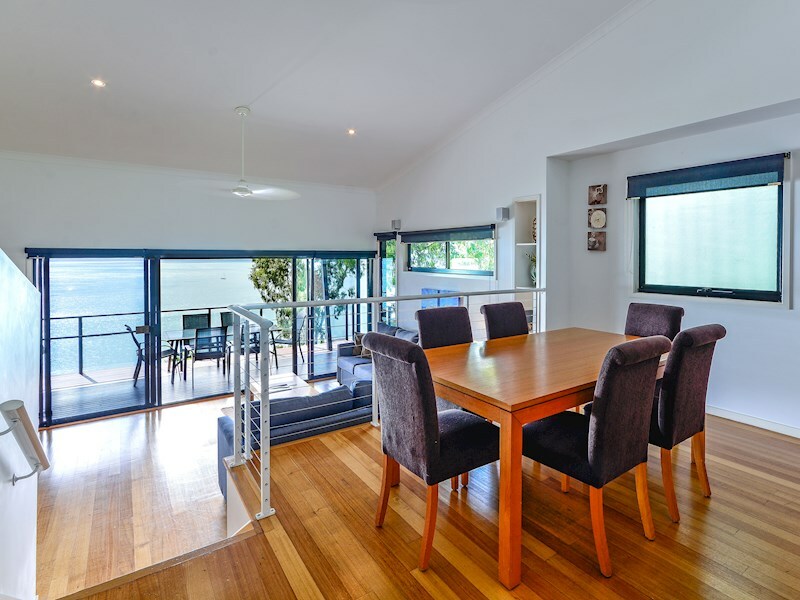 Situated on the Marina side of the island, this apartment is a short walk to all the cafes, restaurants and shops on Front Street. 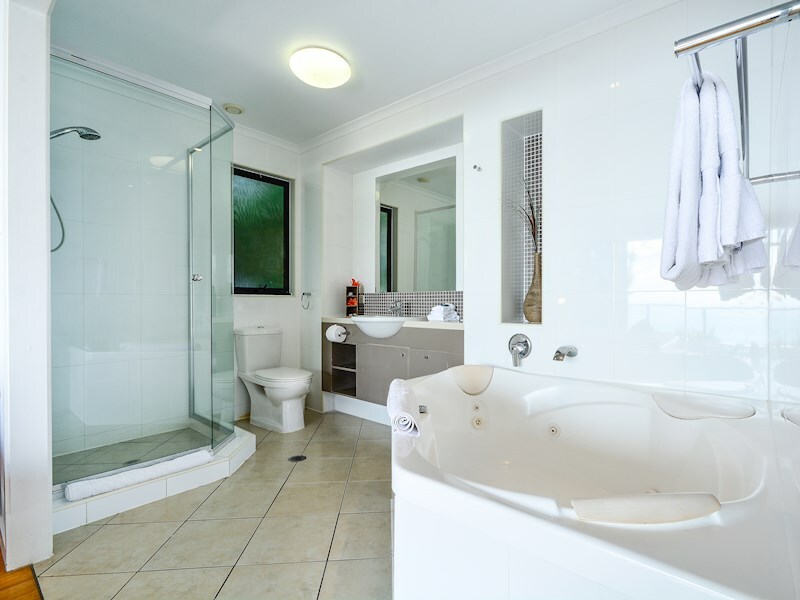 The master suite includes a king size bed and a huge, luxurious ensuite with a spa bath. 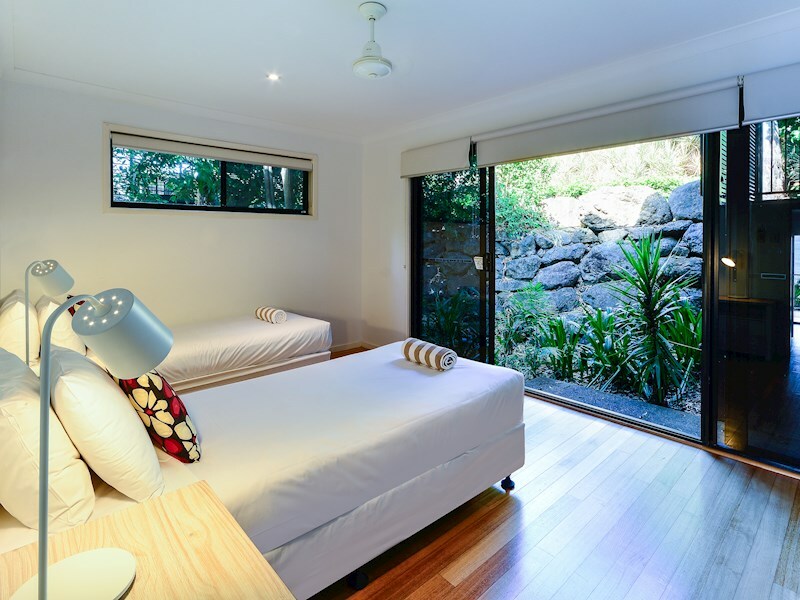 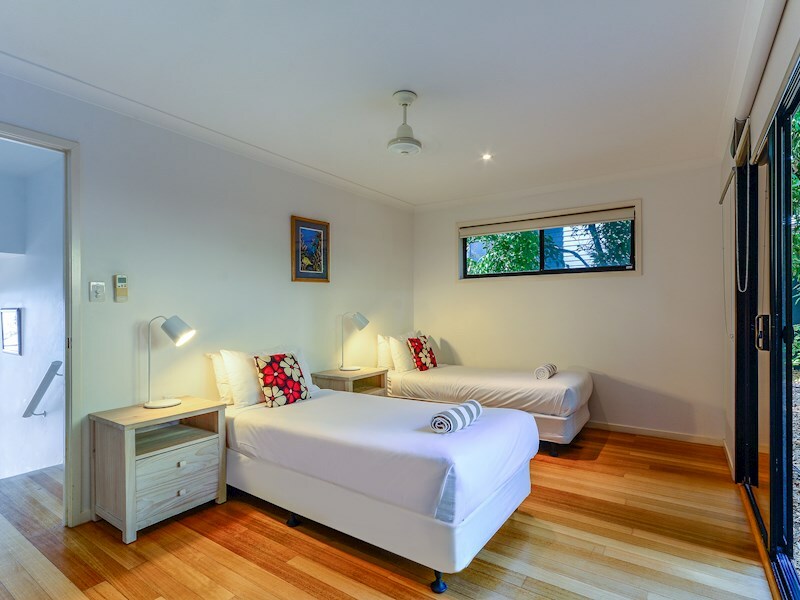 The second bedroom features a split-king bed and also has a modern adjoining bathroom. 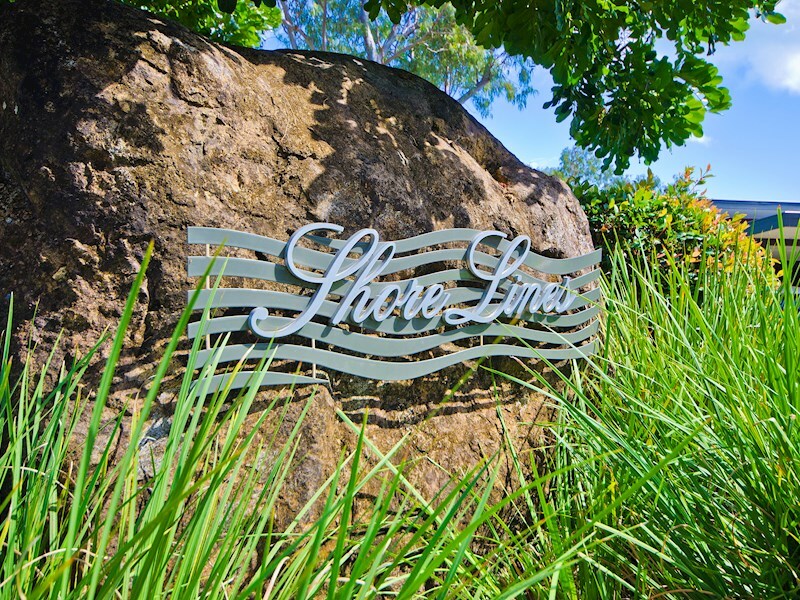 As a guest of the Shoreline apartments, you have acess to the complex's shared pool. 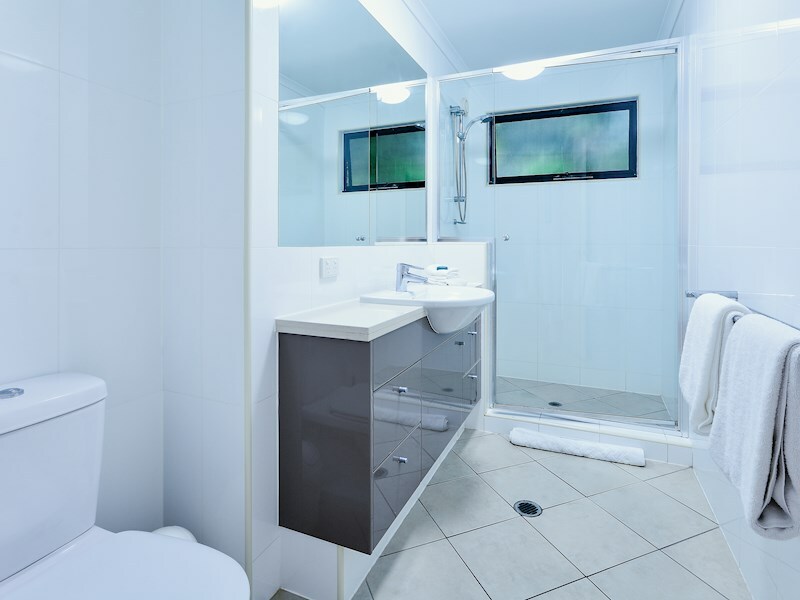 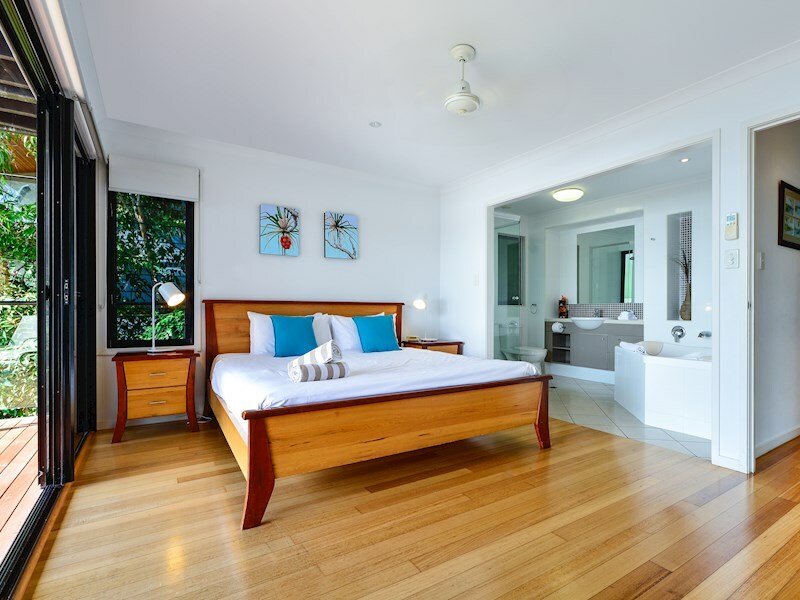 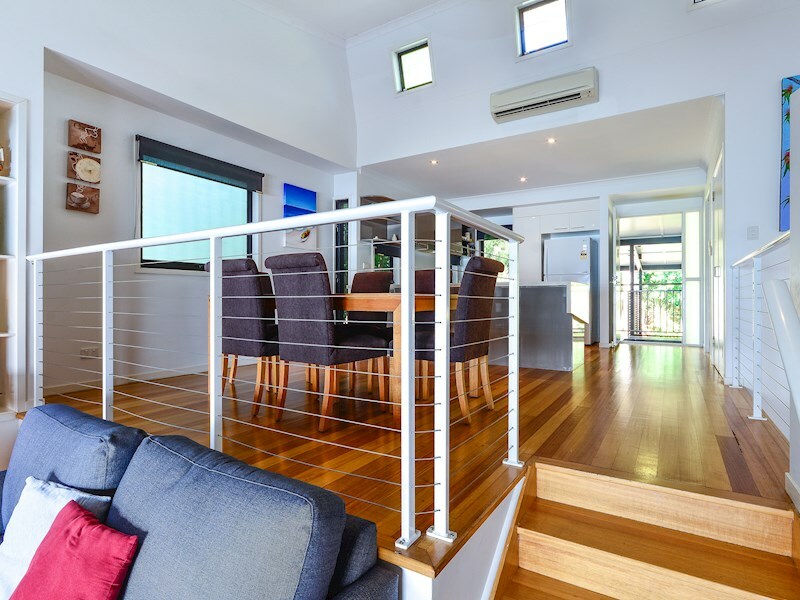 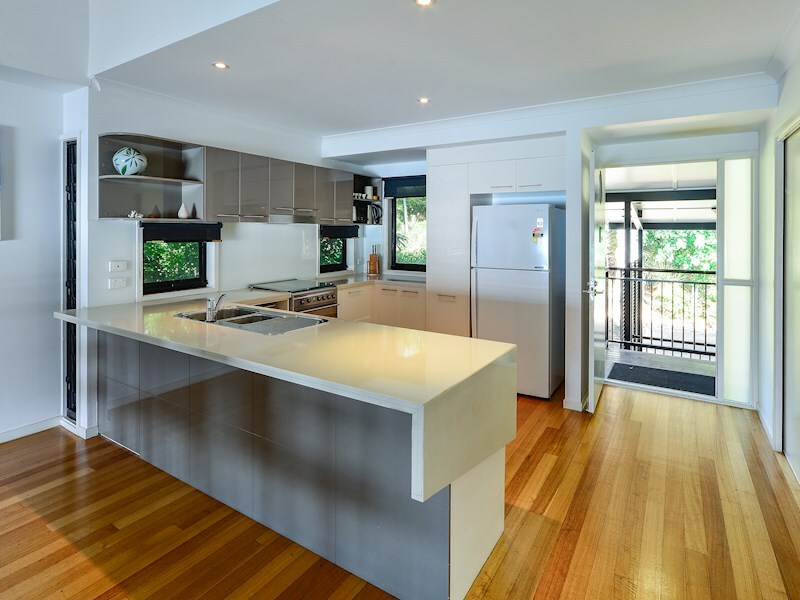 This apartment features all the comforts and conveniences you need for a memorable holiday, including air-conditioning, ceiling fans and bright, modern interiors. 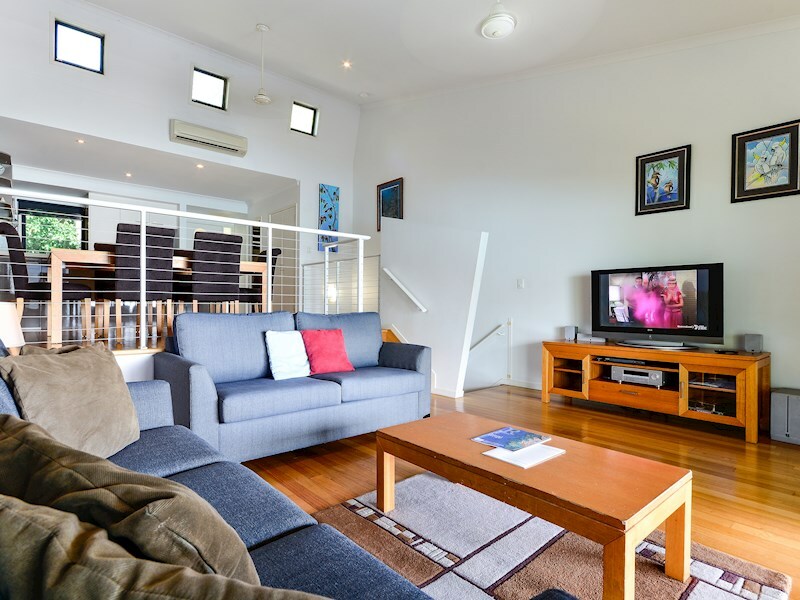 When you're not taking in the view from the balcony, you can also enjoy the 42" Plasma TV, DVD/VCR and full theatre sound system.